Inside: Answer these four questions before you homeschool. Your answers will save you so much time, money, and frustration! And they might just save you from quitting homeschooling before you know how awesome it can be. So many parents start homeschooling with only a vague idea of what they want their homeschool to look like. They only know that traditional school isn’t going to give their kids the kind of education they want for them. But with only a vague idea of what you want school to be, you might end up hating homeschooling, or worse, your kids will. 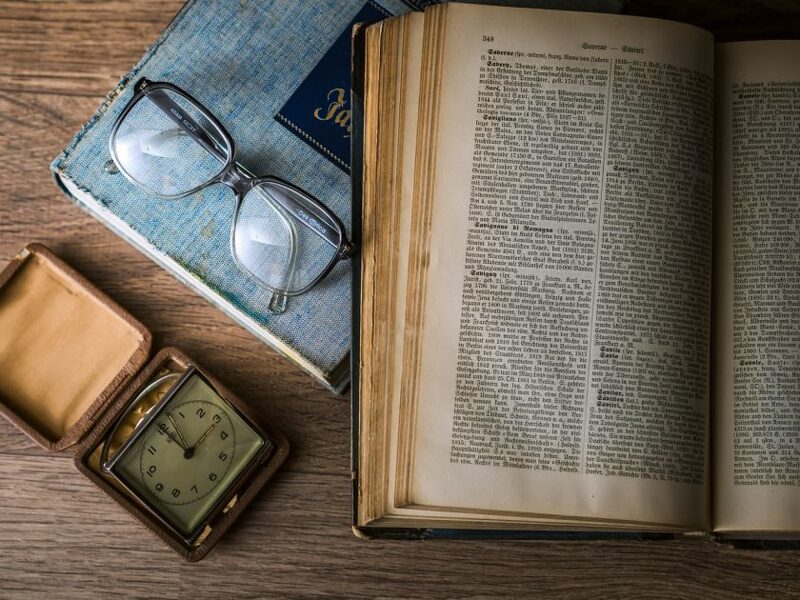 If you invest time before you homeschool to form your own definition of a good education, you will find a homeschool style that fits your family and have a thriving homeschool for years to come. “Why do we do this anyways?” Her brows furrowed with confusion. I felt for my new friend who had been homeschooling for over a year now. 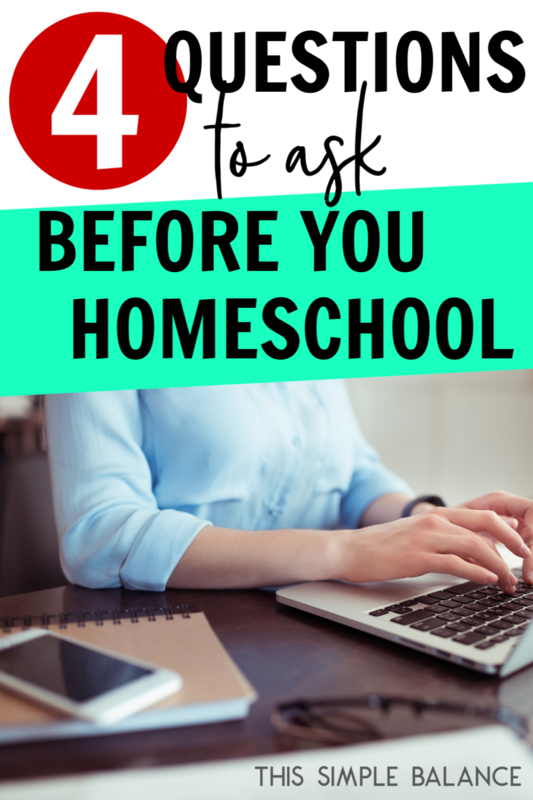 But I never stopped to ask the question myself until four months into homeschooling…when all the methods I thought would work just didn’t. And without a good answer to that question, many homeschoolers quit. Before I started to homeschool, I imagined homeschooling would look much like traditional school, just at home. While I didn’t actually buy any desks (where would I fit them in our tiny apartment? ), I pictured our daughter sitting in our bedroom, where it was quiet, with her workbooks (so many workbooks) for two to three hours a day. She was already reading at a third grade level at that point, so surely she could do most of the work independently. I saw the boys playing by themselves happily for at least one of those hours, and I could step in when she needed me. And where was the baby in all this? Content in the Ergo of course (a must-have for every homeschooling mom, by the way). Ah, such a dream. Reality looked much different. In reality, my daughter hated worksheets. She hated them so much, she sat in a chair staring out the window for 45 minutes rather than touch one (true story). Read-alouds were disastrous. Her younger brothers either interrupted constantly or worse, roped her into their shenanigans! I spent over $500 on curriculum I thought I’d love, most of which I discarded within a month. Related: Relaxed Homeschooling versus Unschooling – What’s the Difference? My biggest problem that first year? I didn’t take time to think through all of my ideas about what education is and should be – or read anyone else’s answers to those questions. The fancy, teachery word for all of that is a “philosophy of education”, defined as “a personal statement of a teacher’s guiding principles about ‘big picture’ education-related issues, such as how student learning and potential are most effectively maximized” (source). Figuring this out early on in your homeschooling career will save you a lot of time and frustration. I wish I had done my reading first, before buying all the curriculum. Little did I know that I leaned far more towards unschooling, which is rather uncharacteristic of me. Leadership Education and unschooling currently heavily influence our homeschool. While you may not be able to answer all of these questions at first, at least start thinking about them now. What outcomes am I looking for and how did I expect to reach them? What philosophy provides methods that work best for my personality, family size, and season of life? You answers may never be set in stone as each of your children will likely have different needs and learning styles. Granted, your answers to these questions may remain only ideals. Once you actually try some of their prescribed methods, you might discover that your ideas are much better in theory than in practice! But thinking about these questions before you start homeschooling is still a helpful practice. This book helps you examine your perspectives on traditional school. Most of us received a traditional education in a traditional school, and we need help to understand why our education system is the way it is, along with its flaws. Sarah is a homeschooling mother of six. A veteran homeschooler, she shares vital perspective on how to approach homeschooling from a place of peace and rest. John Holt presents the idea that children are wired to learn from birth. It doesn’t sound that radical except we seem to have an assumption in our country that if children do not go to school, they will not be motivated to learn. School does not a learner make: children are driven to learn and will learn at every opportunity. Written by a certified teacher, this one I read over and over because unschooling is so counter-cultural and unlike my own school experience that I need constant reminders of its underlying assumption: children have a deep desire and innate drive to learn. While I do not agree with everything, sometimes we need extreme opinions to bring us closer to the middle, to find balance. Her writing style is also extremely candid, conversational, and often laugh-out-loud funny. Leadership education helped me put words to ideas about child development and the way children learn that I suspected but couldn’t quite describe. I initially read this blog post, which summarizes the overall educational philosophy and describes the four phases of learning, but was rather lacking in practical application. The book provided in depth support for the philosophy, along with multiple practical steps and ideas to implement it. When you can answer the four questions I mentioned earlier with confidence, you will be able to determine the best course for your homeschool. Frustrating things like choosing curriculum and deciding on a homeschool schedule become easier when you know exactly what you are trying to accomplish and how you want to accomplish it. These resources are just a starting point. 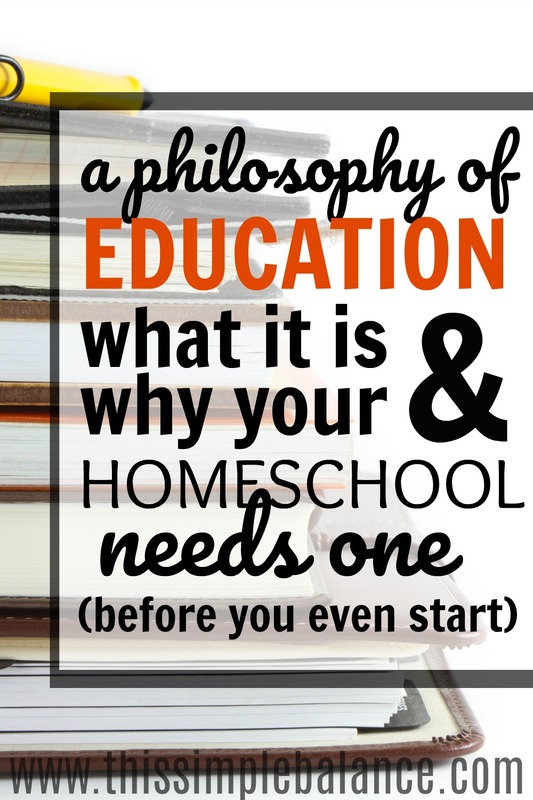 After all of my failed attempts at implementing “school at home”, I spent the good part of my first year homeschooling just reading homeschooling and education books for me (not my kids). I desperately needed a firm foundation for our homeschool because I was so easily swayed by the opinions of educators or other homeschool moms. All that reading paid off: I now can confidently say that I am a relaxed homeschooler. I know my reasons for homeschooling and hold pretty strong beliefs about how children learn, which is why I can’t ever see myself sending our kids to traditional school again. You may not reach the same conclusions that I have, and that’s o.k.! Every homeschool family is different. I do hope, however, that your reading gives you a firm foundation, a solid road map to guide you on your homeschooling journey. One thing I have finally reconciled myself to is that you will occasionally buy total dud curriculum. Yes, it is wasted money, but it will be an even bigger waste if you insist on pushing on with a curriculum that isn’t working. I now see that as part of the “cost” of homeschooling. Thats wise Audrey. Im trying to reconcile my minimalist tendencies with homeschooling, where you tend to hang onto things “just in case I need it”. So true. Eventually, most homeschoolers learn that all of life is learning for a child. Other good books are For the Children’s Sake by Susan Schaeffer MacCauley and The Relaxed Home School (and others) by Mary Hood. Also, it’s good to connect to a group of moms who are in various stages of the journey. We have a monthly moms’ night out. It’s pretty informal, but new moms come and can ask questions and hear from folks who have learned this same lesson. Enjoy your littles!! They grow up so fast! I haven’t heard of the Relaxed Home School. I’ll have to add it to my reading list. Thanks for the recommendation!